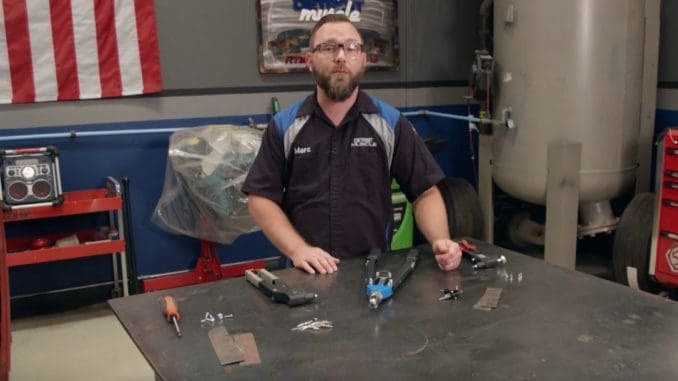 In previous episodes, Power Nation has covered types and jobs of different fasteners, how to identify and measure bolts, and how to retain a bolt. But there are other types of fasteners available, such as screws or rivets. Firstly, you have a run-of-the-mill screw. Standard sheet metal screws come in different sizes, shapes, and lengths as well as different heads. Some have slots for a flathead screwdriver while others have slots for a Phillips head screwdriver. For these screws, the holes don’t have to be perfect. For most cases, if oyu can get the tip in you can drive the whole screw in. 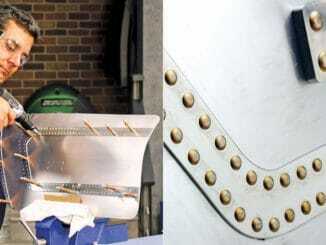 Screws are often temporary or semi-permanent so if you’re looking for something more permanent you can use a rivet. You need a special tool called a pop rivet gun to install them. 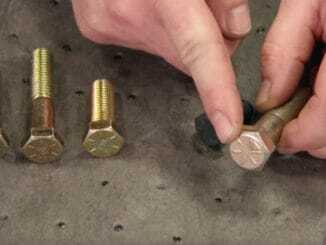 There are several different sizes of rivets, especially for automotive applications.